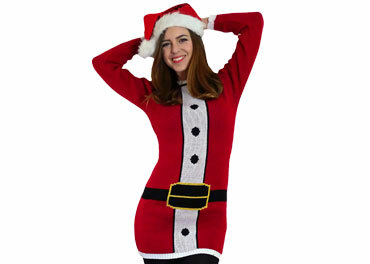 Cute and cozy festive sweater dress available in sizes UK 8, UK 10 and UK 12. 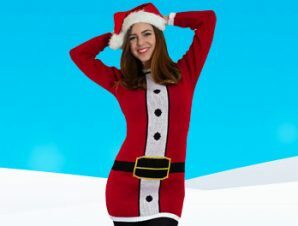 This extra Santa style long sweater. Perfect for wearing over jeans or leggings. 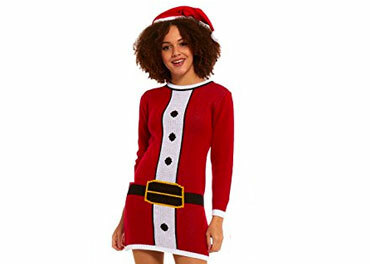 Comes with free santa hat. This jumper looks just like it does in the picture. It is nice quality and lovely and cozy. I bought it for Christmas Jumper Day and I an happy I chose this one. Arrived quickly and is just as described. Really cute, I love it. 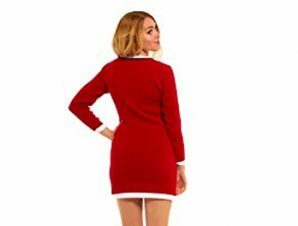 Rudolf Ladies dress. Extra long jumper perfect as is or to wear over jeans or leggings. 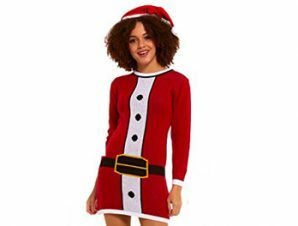 Santa Sleigh long Xmas jumper dress. Festive Penguin long Xmas jumper dress. 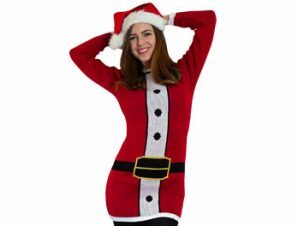 Jolly Snowman long Xmas jumper dress.